An estate plan is far more than just deciding how your assets will be dispersed upon your death. An estate plan allows you to make important financial, business, tax and medical decisions that will benefit you and your loved ones during your lifetime. An estate plan refers to the means by which your estate is preserved during your lifetime and distributed to your loved ones upon your passing. When it comes to estate planning, Matter Law focuses on crafting personalized plans to achieve our clients’ goals for wealth preservation, tax avoidance, incapacity, and disposition of assets at death. We help families prepare their estate so that you and your loved ones can avoid the lengthy and expensive process of Probate Court. Estate planning is also necessary in situations where a loved one is incapacitated or in a diminished state. We assist with planning for diminished state and incapacity by assisting you with advanced health care directives, power of attorney for medical and financial management, pour-over wills, revocable living trusts and wills needed to re-title assets to revocable living trust and change the beneficiary of all life insurance, retirement accounts and annuities to a trust. We are happy to work with you to schedule an appointment that meets your needs and an estate plan that meets your personal goals and objectives. 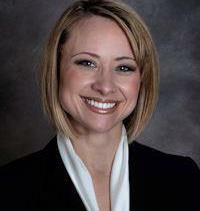 Crystal L. Matter is an estate planning attorney practicing in Northern California. She has strong academic and professional qualifications and a passion for meeting clients’ estate planning goals and objectives. Crystal is a California native. She attended University of the Pacific, McGeorge School of Law, where she earned her Juris Doctor in 2011. Crystal attended Saint Mary’s College of California in Moraga, California where she earned her Bachelor of Arts degree. She attended Loretto High School in Sacramento, California. Crystal’s legal experience includes private practice in some of California’s most respected firms practicing in areas such as civil litigation, class action litigation, complex business and construction litigation and family law. Experience in these fields gives Crystal a unique advantage in assisting estate planning clients with a wide variety of backgrounds and circumstances.